One problem we run into a lot of the time is trying to find brackets that are strong enough for Urinal Screens or Panels that are not a common thickness. We now have a stainless steel bracket in stock that will provide the strength of stainless steel for any panel, no matter the thickness. 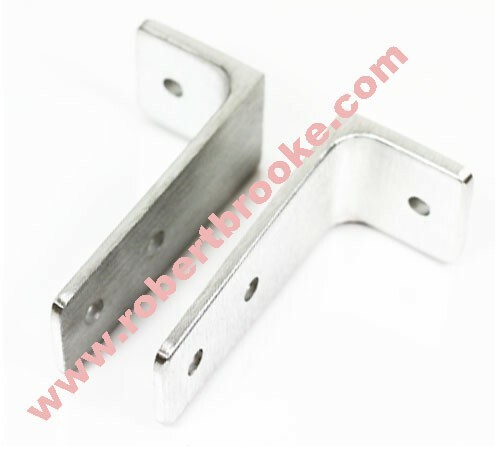 Toilet Partition Urinal Screen Bracket Cast SS, Any Thickness, 1-1/2″ x 3-1/2″. 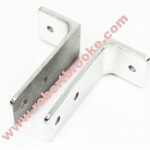 Our new stainless steel bracket has a base that is 1-1/2″ x 1-1/2″. The legs project out 3-1/2″ and the hole are 3-1/8″ and 2-1/8″ from the mounting face. The Urinal Screen Bracket is constructed of cast stainless. The bracket is also called a Two Piece Bracket X Long Two Holes. It is also known as the 1323 Bracket. We ship this bracket will the one way screws.